Is the Tide Turing Against the Wild-Eyed Witless Right? One can only hope this is the proverbial Canary in a Coal Mine for the panderers of PT Barnum conspiracy stories, and salacious lies. In a stunning comeback, State Board of Education hopeful Keven Ellis won Tuesday’s District 9 Republican primary runoff over Mary Lou Bruner, who drew national attention for social media posts touting far-right conspiracy theories and other fringe views. The East Texas Tea Party activist and former schoolteacher had been favored to succeed in the race after nearly winning the March 1 primary outright and accumulating heavy support from influential conservative groups that typically hold big sway in low-turnout runoff elections. But Ellis, a Lufkin chiropractor who presides over the local school board, maintained a double-digit lead over Bruner throughout Tuesday night, and that lead widened as vote returns rolled in. He ended the night 18 points ahead of Bruner, with the final vote showing Ellis hauling in 36,842 votes, 59 percent, to Bruner’s 25,420, according to complete but unofficial returns. The 45-year-old’s win comes after Bruner nearly won a three-way GOP primary race March 1, falling less than 2 percent and a few thousand votes short of the 50 percent mark. (Ellis got 31 percent of the vote.) Her strong showing came despite extensive media coverage of her then-public Facebook posts, one of which said she had heard from a reliable source that President Obama worked as a gay prostitute while in his 20s to fund a drug habit. With Texas GOP runoffs typically drawing the most conservative voters, Rice University political scientist Mark Jones had previously named the 69-year-old from Mineola a favorite to win the runoff while acknowledging a scenario where educators turned out in droves to vote against her. Bruner did not immediately return a call seeking comment. Jones also noted the possible impact of a recent decision by an influential Tea Party group, Grassroots America — We the People, to withdraw its previous endorsement of Bruner, who worked in East Texas schools for 36 years, citing inaccurate statements she had made on the campaign trail and an apparent unwillingness to issue a statement correcting them. In a recent speech to East Texas superintendents, for example, Bruner claimed that half of all public school students were in special education. It was the first time the group has ever rescinded support for a candidate, according to Executive Director JoAnn Fleming. The establishment Democrats won out last night in Maryland, where old-line Democrat favorite defeated fiery upstart Donna Edwards in a bruising Primary Race with racial undertones. Not that Von Hollen isn’t a good guy, or a great candidate – it is just his willingness to cave to the Republican Reich with the other Yellowback Donkeys. 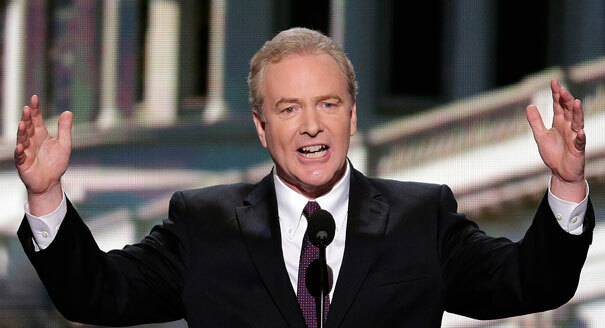 Rep. Chris Van Hollen has won the Democratic primary to replace retiring Sen. Barbara Mikulski in Maryland, defeating Rep. Donna Edwards tonight. Van Hollen had the support of Senate Democratic leader Harry Reid and many of Maryland’s prominent elected Democrats, but Edwards’ campaign won strong support from African-American voters and EMILY’s List, which spent millions of dollars on her behalf. Van Hollen’s own campaign significantly outraised Edwards, though. Van Hollen is unlikely to face a serious general election challenge in deep-blue Maryland. Michelle Obama called Democratic presidential candidate Hillary Clinton an “impressive” and a “phenomenal woman” on Wednesday in response to a 14-year-old’s question at a White House event, saying Clinton, like “many” of the other candidates, has devoted her life to public service. “I think Hillary Clinton is a phenomenal woman, and I’ve gotten to know her, and I think she’s made some pretty major contributions over the course of her life,” the first lady said during an event with the children of executive office workers marking Take Our Daughters and Sons to Work Day. 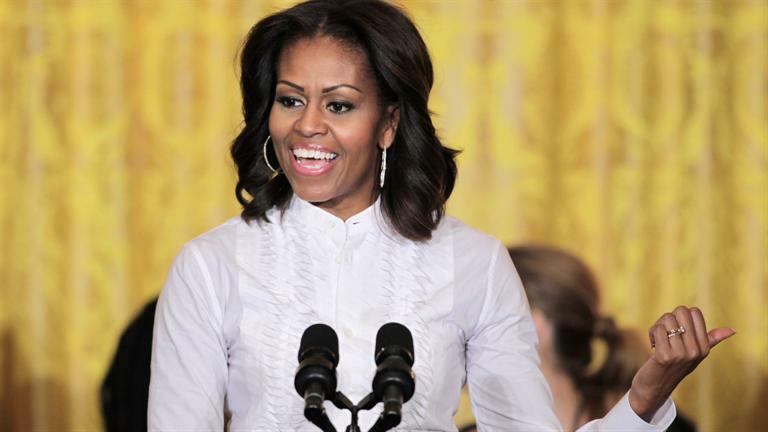 She also spoke about the first family’s dogs, her “Let’s Move!” initiative to end childhood obesity, what she’ll miss most about the White House – as well as what she won’t miss so much. Obama reiterated that she doesn’t plan to run for president in the future like the former first lady who is seeking the Democratic nomination. “Hillary Clinton is an impressive woman and I will not do what she has done, I will not run for president,” Obama said, though she would like to continue to perform public service. Neither the first lady nor the president has publicly endorsed a candidate. Racial Politics in Va Hollen v Edwards Primary Senate Race in Maryland? This one is looking at the wrong issue. The race was Chris Van Hollen’s to lose, but Donna Edwards has turned it into a nail-biter. Donna Edwards bounded up the walkways of more than a dozen modest homes in a largely African-American neighborhood here on a recent Saturday afternoon, posing for photos and sharing a simple message: I’m just like you. The Democratic congresswoman running for Senate reminded one family that she, too, is a single mom. She talked about working minimum wage jobs earlier in her life, and lacking health insurance. Six months ago, Edwards was an afterthought in the Democratic primary to succeed retiring Sen. Barbara Mikulski. The race was Rep. Chris Van Hollen’s to lose — a star in House Democratic leadership, he would swamp the field with his fundraising and big-name endorsements, the thinking went. But as the April 26 primary approaches, Edwards has pulled even or possibly slightly ahead of Van Hollen in one of the most hotly contested Democratic primaries of 2016. She has moved the needle with an explicit appeal to African-American voters, who typically make up about two-fifths of the electorate in Maryland Democratic primaries. A Washington Post-University of Maryland poll released Tuesday showed a neck-and-neck race, 44 percent for Edwards to 40 percent for Van Hollen. Edwards led by 10 points in a Baltimore Sun/University of Baltimore poll last month. Edwards is trumpeting the historic nature of her candidacy — she would be the first African-American woman in the Senate since the 1990s — and outside groups are playing up her personal background in ads in the pivotal D.C. media market. Van Hollen criticizes what he calls Edwards’ thin résumé on Capitol Hill, painting her as a partisan bomb-thrower who has shown little ability or interest in working across the aisle to get something done. Edwards, in turn, casts Van Hollen as an accommodating moderate. She says he was willing to cut entitlement programs to clinch a budget deal with Republicans. And she’s slamming him for supporting past trade deals, a potent line of attack among liberals as Congress prepares to take up a massive trade deal next year. That one line I highlighted is why Van Hollen should lose this race, and the reason voters are abandoning him. Democrats have been in accommodationalist politics since Bill Clinton. And what it has got the country is a destroyed middle class, a economy in the dogpile, a housing meltdown, an illegal war, and the largest depression since the Great Depression. Ergo- the middle-class, the poor, and Progressives have been getting screwed by chickenshit Democrats reaching out their hands to Republican Rattlesnakes. 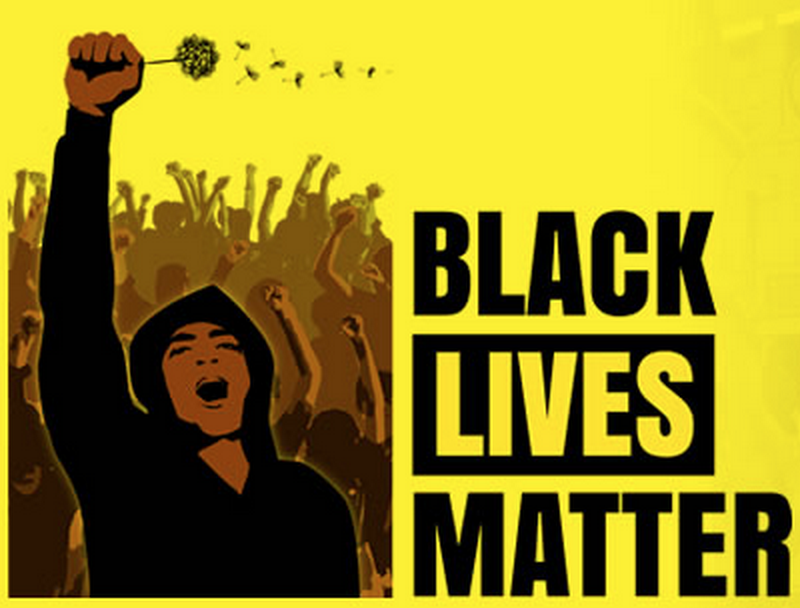 If the entire Black Caucus bus ran off a 10,000 ft cliff tomorrow…Not a damn thing would change. President Obama has been a successful President…In spite of conservative racism based obstructionalism. I wonder how much better he could have been if his early advisers hadn’t counseled him to sell the country down the river for some fake bipartisanship. It has little or nothing to do with race. I would like to see some people elected who understand clearly we are in a war with the American ISIS. Anonymous released their initial data on Trump. So far, it is pretty much low hanging fruit from a hack standpoint, having recovered his private phone number and SSN. I really can’t support the release of that sort of personal information. Hillary’s opposition research people have hinted for months that they have the information to take Trump down. They certainly would realize that in business, a person like Trump would have left a long, long trail of documentation relative to his business dealings, US and possibly offshore bank accounts, and investor relationships. Sometimes it is as simple as following the money. Sometimes it is just enough to follow the people involved in approving or financing shady deals. Who is supplying the money to obviously poorly structured and badly conceived businesses for Trump? If Anonymous wants to go after that…They may find something of value. It is also legal to do much of that. The possible disclosure of Donald Trump’s personal information by hacking group Anonymous has been brought to the attention of the U.S. Secret Service. “The U.S. Secret Service is aware of the internet postings of Candidate Donald Trump’s personal information. We are working with the Federal Bureau of Investigation in this matter,” the Secret Service said in a statement Friday. On Thursday, Anonymous said it released the GOP presidential frontrunner’s Social Security number, cell phone number and other private information about him. The information was posted to Ghostbin.com and Pastebin.com. The group also posted personal information of Trump’s associates, including his spokesperson, campaign manager and some of his family members.